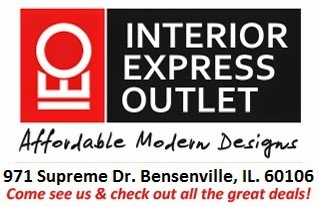 Chicago Furniture | Interior Express Outlet Blog: Chicago Art Discussions: What Makes Art? This is one discussions in a series of Chicago art discussions we have. The Beatles were right! "All you need is love, love, love is all you need." The only ingredient essential to what is really art is love. A TV commercial from the past proclaimed its simplicity. "Love, truth, beauty, and a little bit of salt." Although sodium gets bad press in our diets today, it may represent the discrepant element necessary to all creative effort. Without creative effort we simply have boredom. The negative space in graphics, the stop or discord in music, the break time in a work or study program may indicate creativity is artwork. A Chinese artist, perhaps working through the Cultural Revolution, produced a wonderful painting. He showed many identical white hens lined up, but then - one red hen in the corner. The soul of art is love. The soul of creativity is the discrepant element. Sinatra said, "Love and marriage.....you can't have one without the other."